Just a quick post to put up some photos of some recent cakes and my progress on the Torah stitching. I am about halfway done with the words of my assigned verses and it looks pretty good. Two cakes to show this week. One was for All Staff Luncheon and it was Ashley’s birthday. 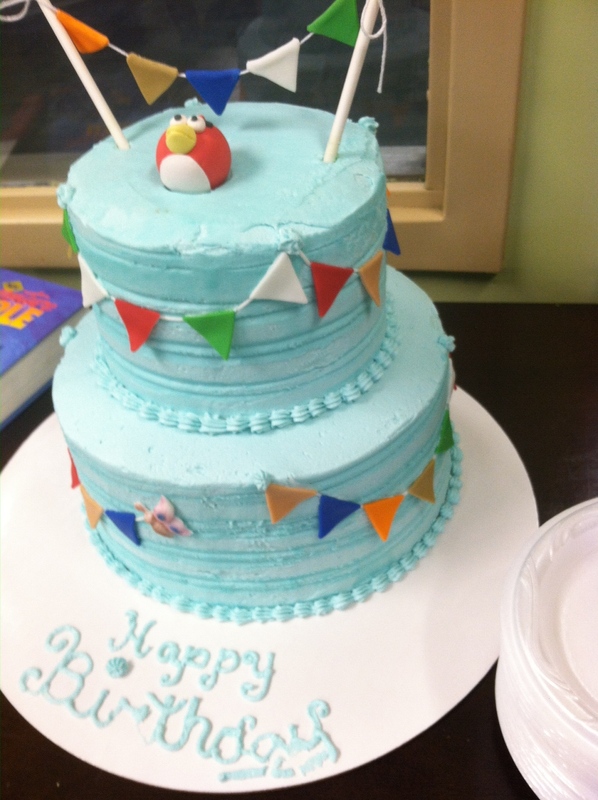 I wanted to do a pennant cake and the Angry Bird was a last second addition. I think it was not too shabby. 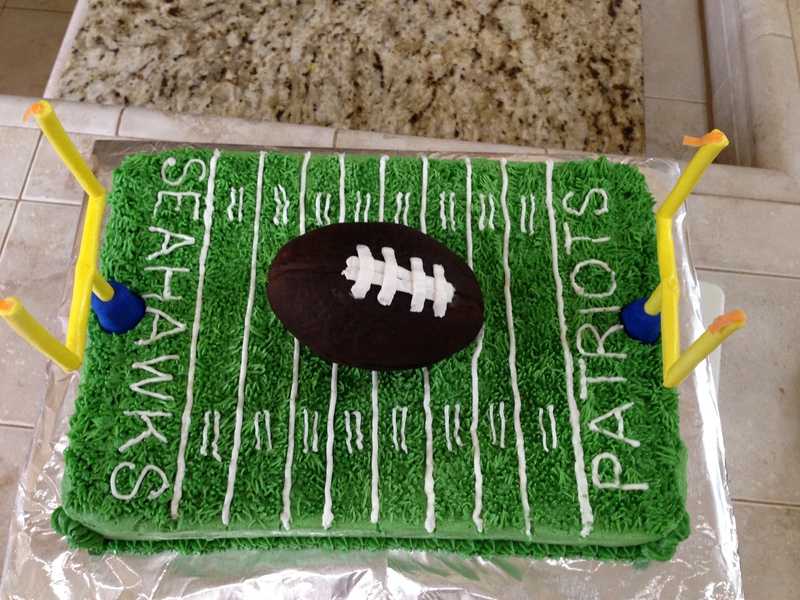 The second cake was for the Super Bowl, of course. We went to our Small Group party and I brought the cake. There was no way I could root for either team though, so I guess you could say I watched for the commercials (which weren’t all that great either…). Four million just doesn’t buy what it used to…lol. I am happy that football season is finally completely over!! Bring on BASEBALL!! As usual…pretty pretty cakes. And your Torah is looking great!